Make sure to SHARE this Recipe with others! Pizza as an Appetizer? YES Please! 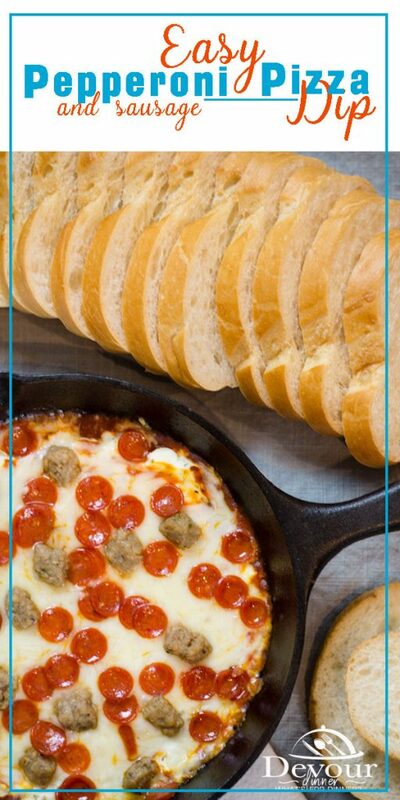 Easy Pizza Dip made with your favorite Pizza Toppings in a delicious cream cheese dip topped with mozzarella cheese. Ohhhh Yum! 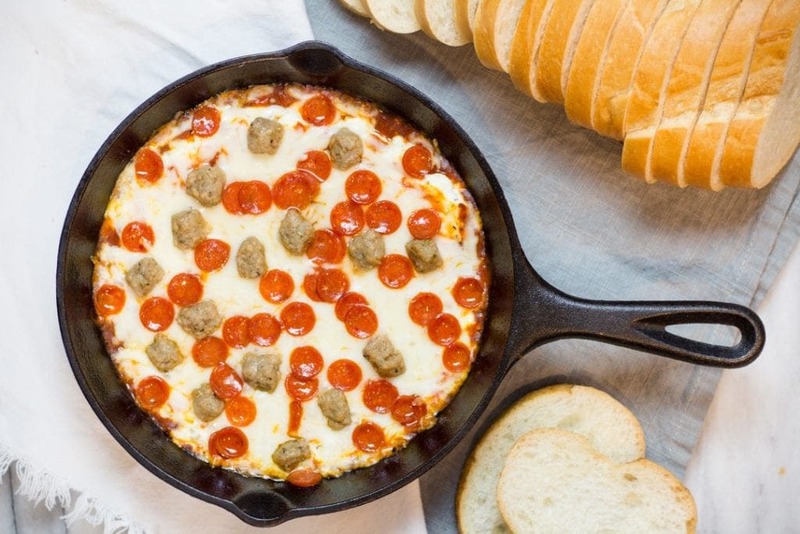 What is Easy Pizza Dip? 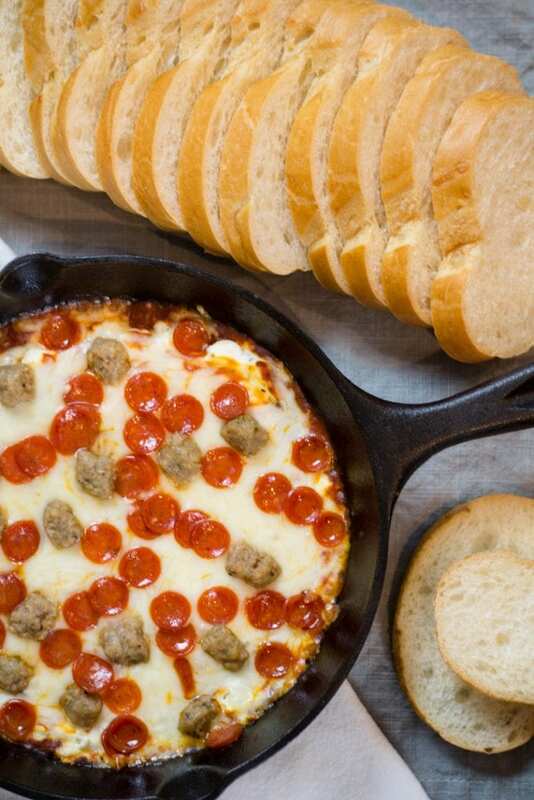 Just as the name implies, Easy Pizza Dip, is easy! It’s filled with Cream Cheese, Seasonings, cheese, and Pizza Toppings. As shown here, we have used Sausage and Pepperoni, but change it up and use Ham and Pineapple, or load it with veggies. It’s delish! What are you favorite Pizza Toppings? 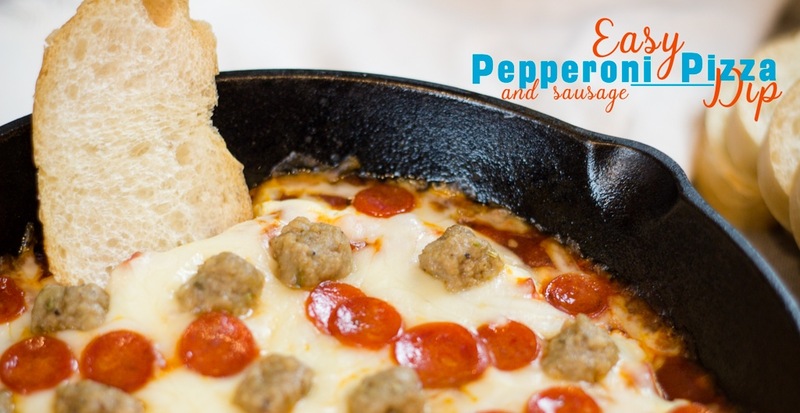 Substitute them for the Sausage and Pepperoni in this recipe and make a dip you love. 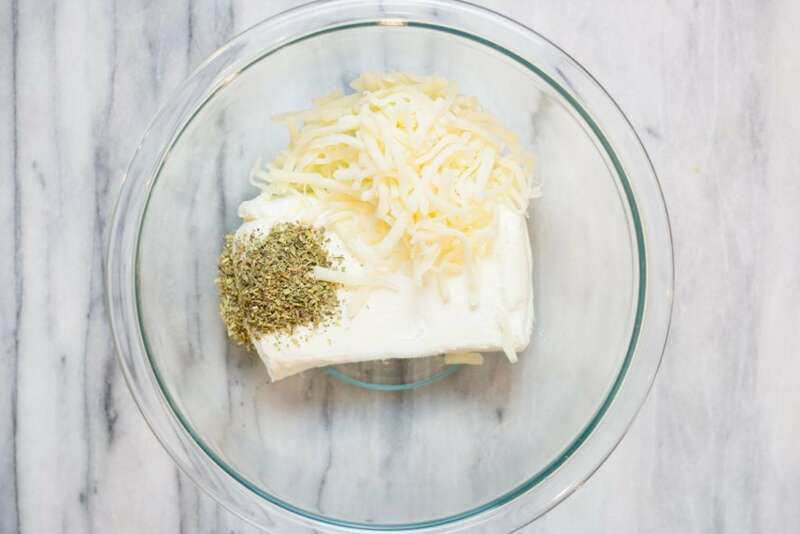 Combine Cream Cheese with Italian Seasonings, Garlic Powder and Mozzarella Cheese and mix until smooth. Perfect Appetizer for the Big Game, or a Sunday Snack. You will dive into this hot bubbly dip and love it. I promise. I love to use my 8in Cast Iron Frying Pan and throw this right into the oven, however you can also use a glass pie dish as well. It will taste fabulous, I promise. Bake for 13-15 Minutes or until hot and bubbly and remove from oven. Remember the Cast Iron will be hot! It will stay hot longer than a glass dish even, so keep those little fingers away. Dip slices of a French Baguette into the tip or use Chips. Honestly, a spoon is just as good too! 😉 We won’t tell. 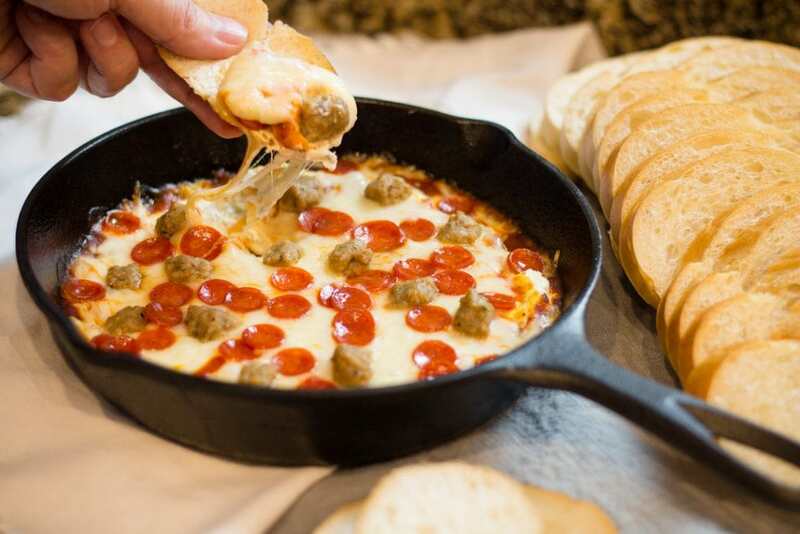 The cheese melts and is wonderful with this hot Pizza Dip Appetizer. This dip is a bit rich, but make sure you get enough the first time because there won’t be any left for 2nds. We have made this recipe a number of times while watching Football or Baseball. I’m always getting requests on new combination. Want to Save this Recipe for Later? PIN IT NOW! You know when you make appetizers you can’t stop at just one? 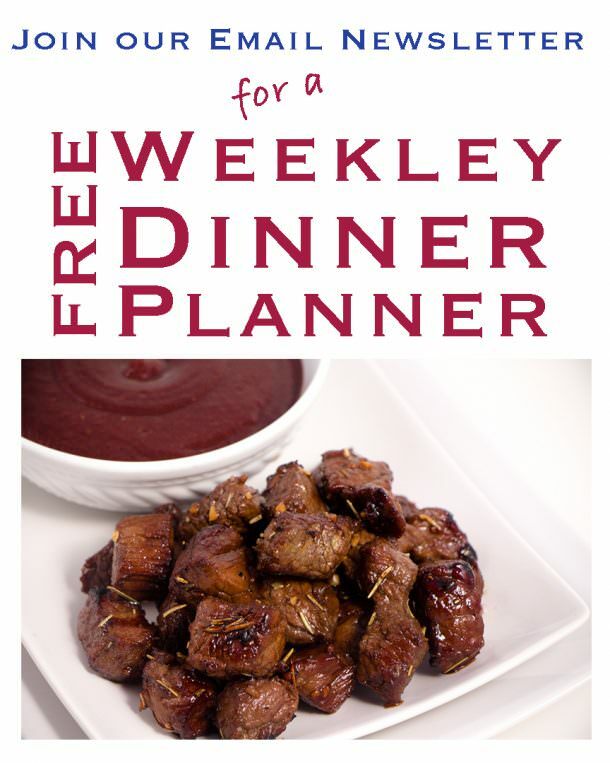 I’ve got a list of great Appetizers for you! In a bowl mix softened Cream Cheese, 1/4 Cup Mozzarella Cheese, Italian Seasonings and Garlic Powder. Set aside. 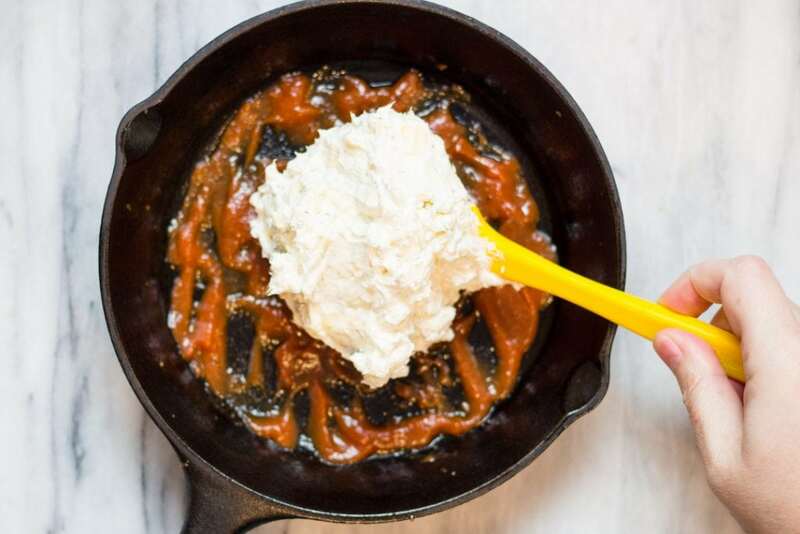 In an 8in Cast Iron Skillet or Glass Pie Dish, place 1/4 cup Cup Pizza Sauce and spread on bottom of pan. Bake at 350 degrees for 13-15 minutes or until hot and bubbly. 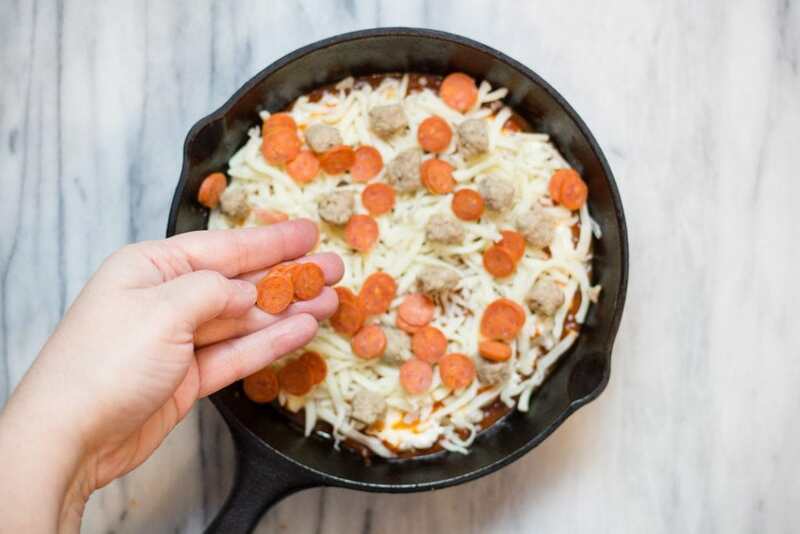 Substitute your favorite Pizza Toppings with the Sausage and Pepperoni. 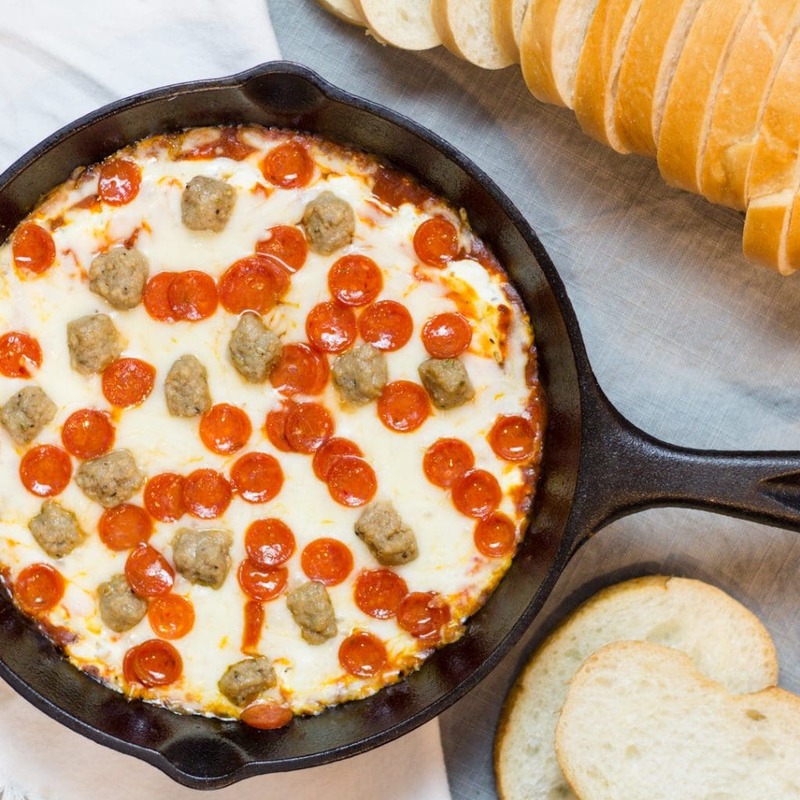 I’m a sucker for pizza and a good dip so this pizza dip is calling my name. I’ll have to make it for March Madness! 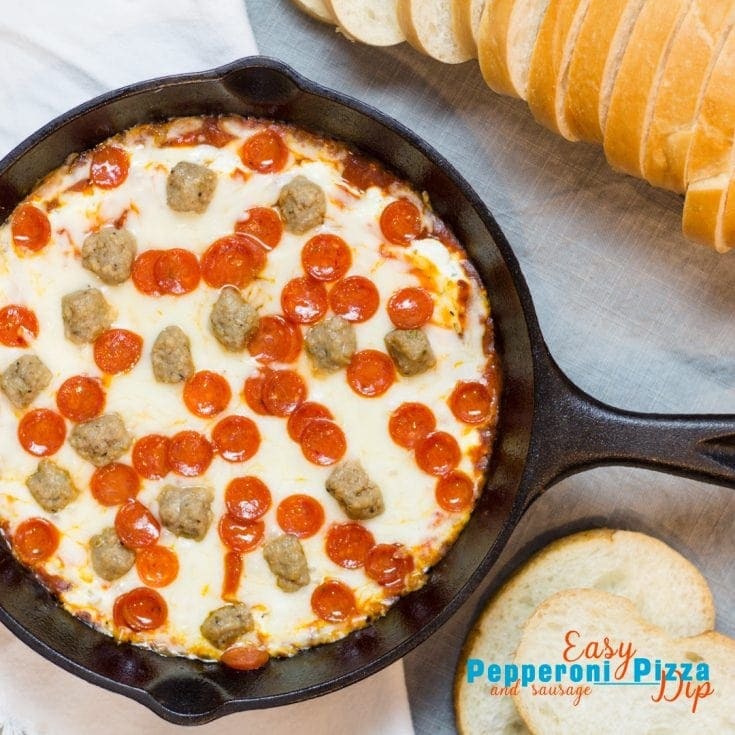 I love dip and I love pizza, so this is right up my alley! It looks delicious and I love those cute mini pepperonis!!! That looks absolutely delicious! My kiddos would go BONKERS over this. Also pinned for later! My boys really enjoy it. We mix it up with their favorite toppings too! I’m pinning this! Pizza is at the center of my heart hah, this looks so easy to make and also looks delicious. I use the Hormel turkey pepperoni though, yum! 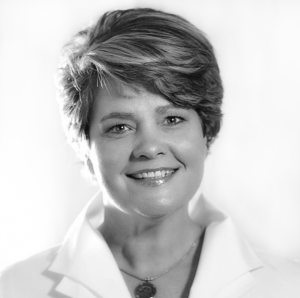 Hi Leslie… it’s an easy dip for sure! Nothing better than throwing it together and having a fun snack! This looks delicious. My kids would love this! 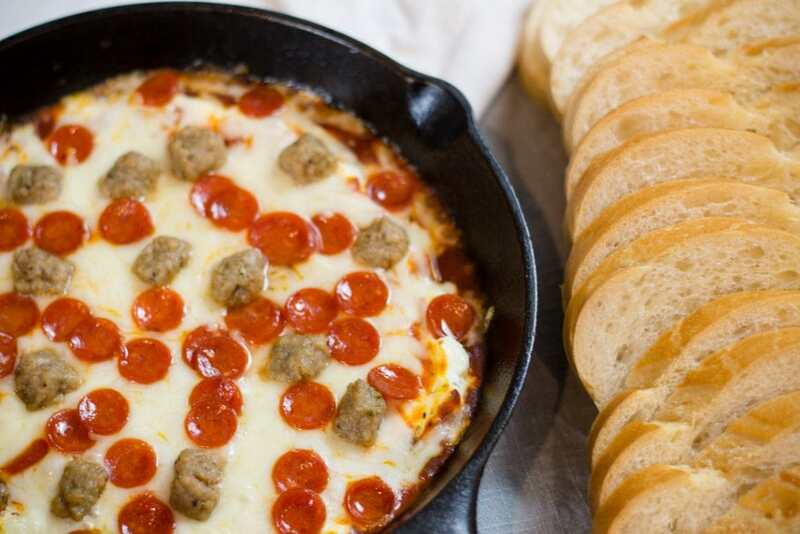 This pizza dip would be a big hit in my house! Everyone loves pizza. I could definitely see including this as an appetizer while we watch football games. Thanks for sharing your recipe! Everyone loves Pizza at my house too. We just love simple snacks like this one! Pizza in dip form!? YUM! I know my family would love this. 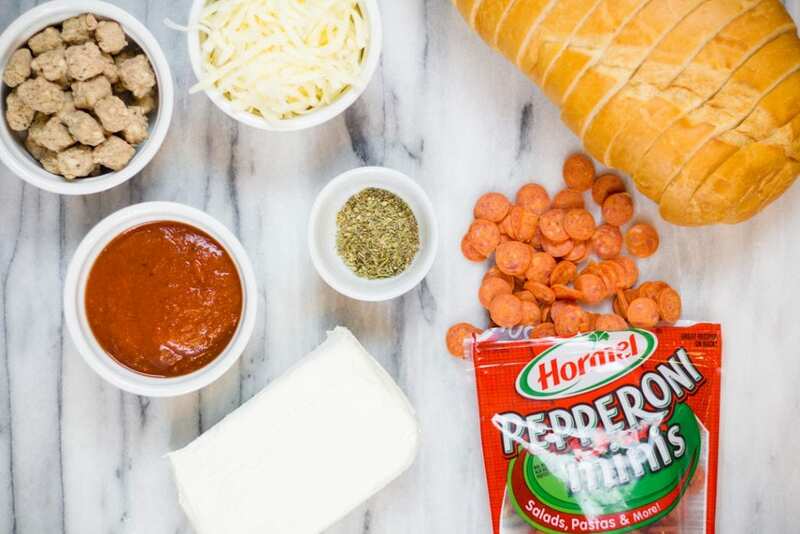 Pizza in Dip form is right! I hope you and your family love this recipe! 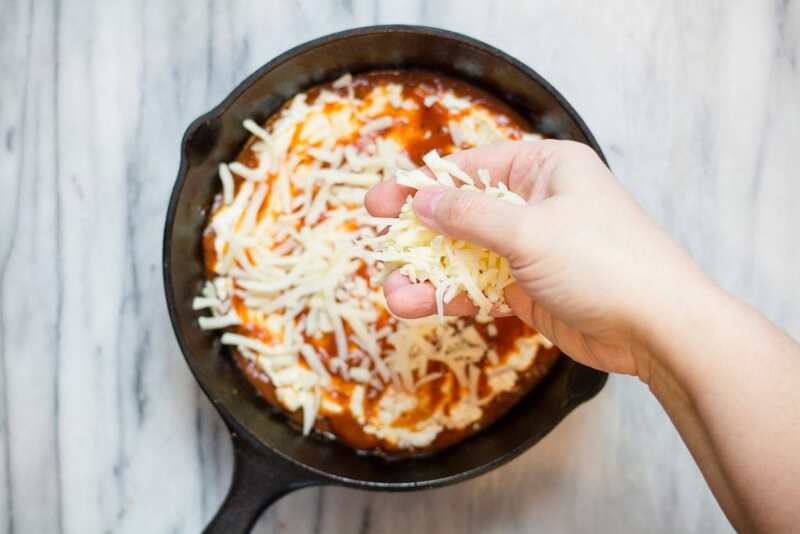 This looks delicious and another reason to use my cast iron skillet! I can’t wait to try at our next get together or hockey watching night. Thanks for sharing. WE love using Cast Iron! 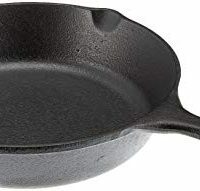 I especially love my little 8in skillet. It’s handy for so many recipes. Outstanding recipe! Who doesn’t love pizza?? 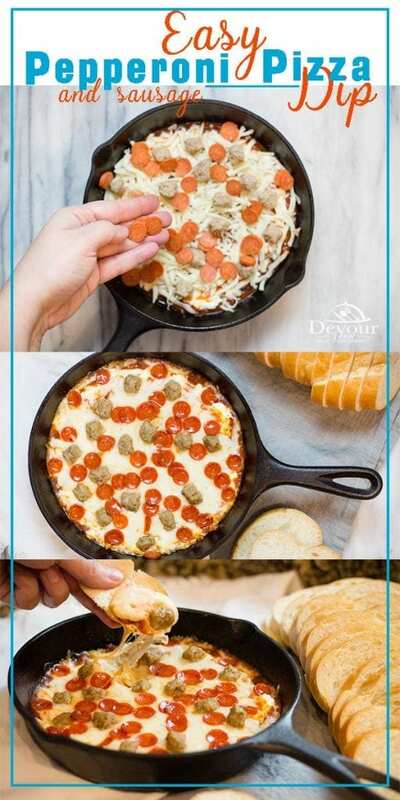 Never thought to make a pizza dip. I need to give this a whirl someday. This would be super to serve at a party. Hi Kimmy! It’s perfect for a party and everyone loves it!